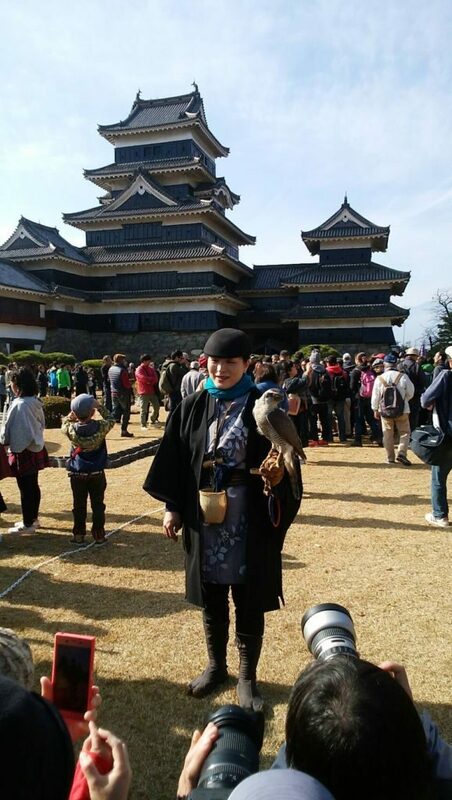 Last Sunday, Matsumoto Castle held a traditional falconry show in the Honmaru Garden. The event took place last year as well. 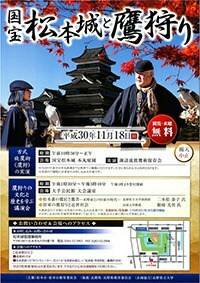 The show was performed by Suwa Falconry Preservation Society. 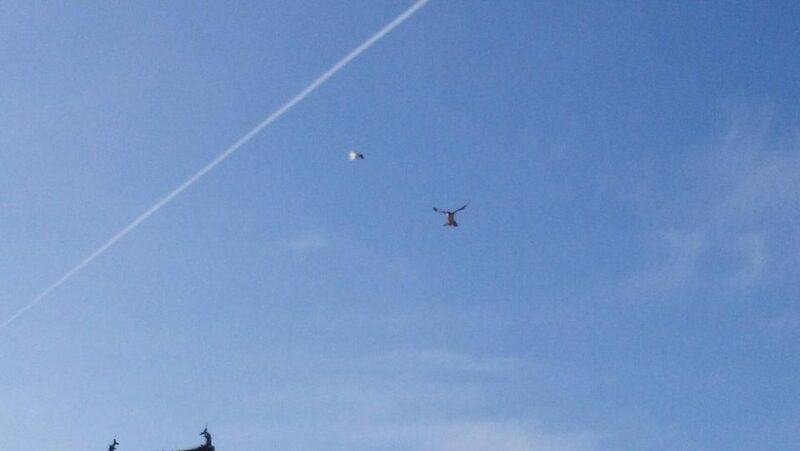 The falconers flew Northern Goshawks and Harris Hawks around the performing area. 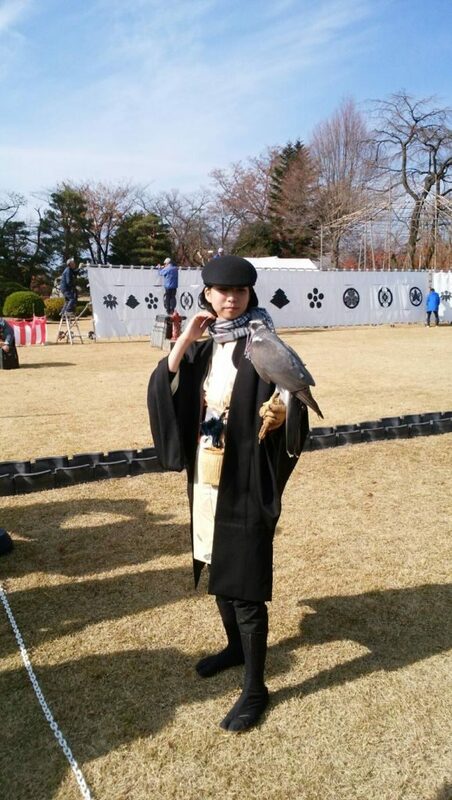 They also demonstrated how the falcons caught their prey, live pigeons, in flight. 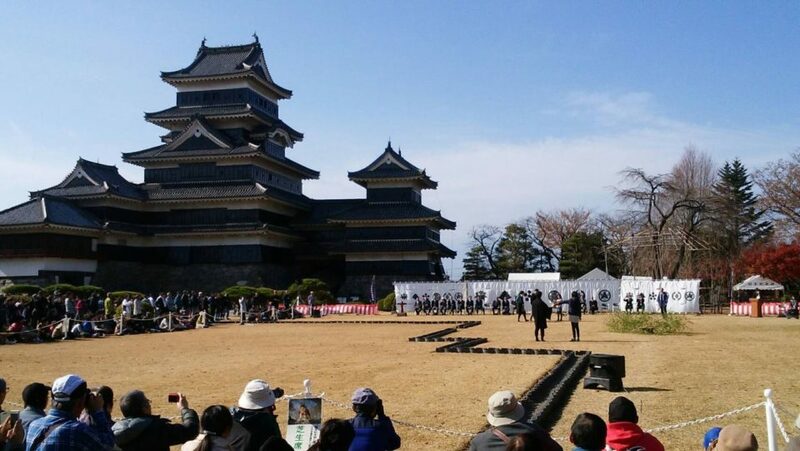 The event was concluded by a photo session, which attracted a large audience. 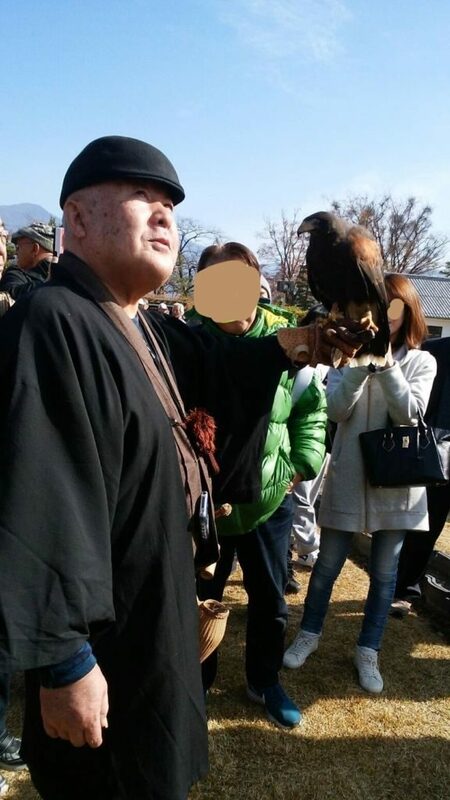 The falconer with a Harris Hawk at the photo session.